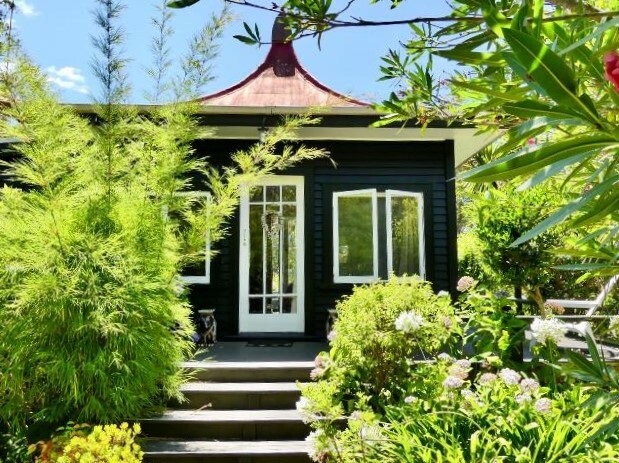 The charming 1930's Lodge was built to reflect Daniel Ferguson's love of China. 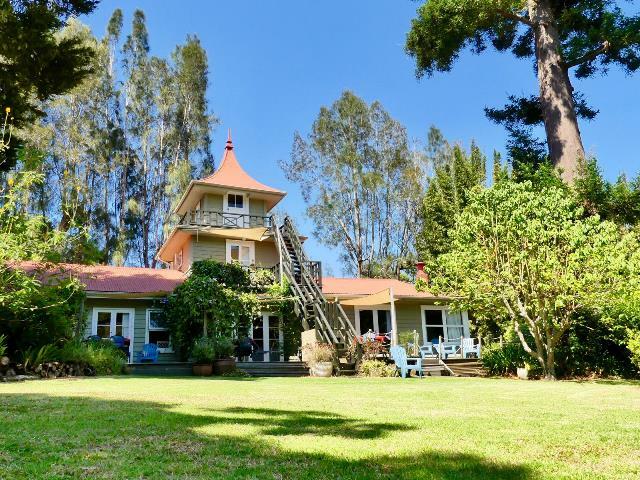 Dramatic turret and golden Pagoda Roof creates a special ambience. The characterful one and two bedroom apartments are spacious, with polished wooden floors and a hint of Asia/Pacific in the tasteful decor. 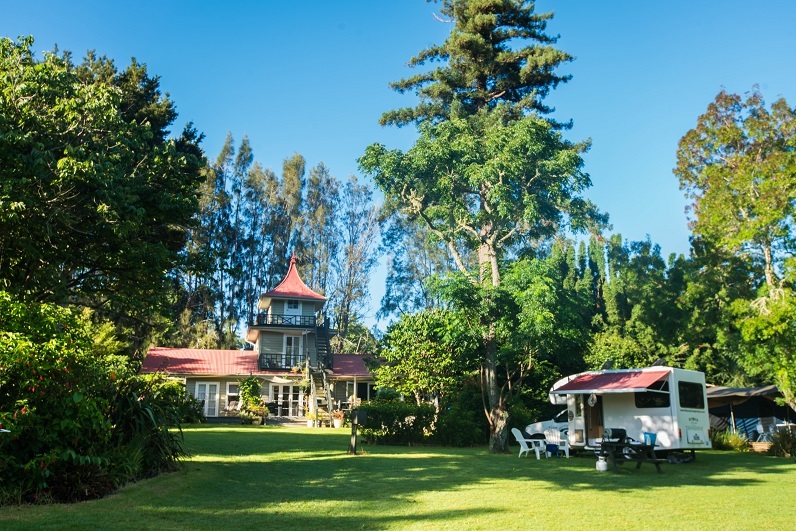 Each has its own private deck with views are of the garden and the famous Hongi Hika Heritage Site across the river. 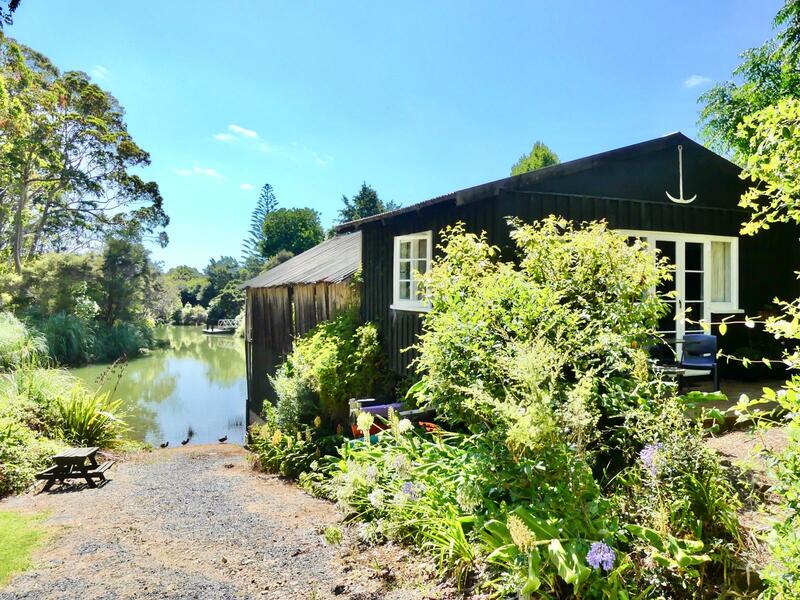 The Jade House is a romantic, private cottage overlooking the famous Hongi Hika Pa site, a tranquil river and the Kerikeri Inlet. In the 1930's it housed an imperial Jade collection from China, while in recent years it has been a favourite place for honeymoon couples. Decor is pleasing and discretely Asian. 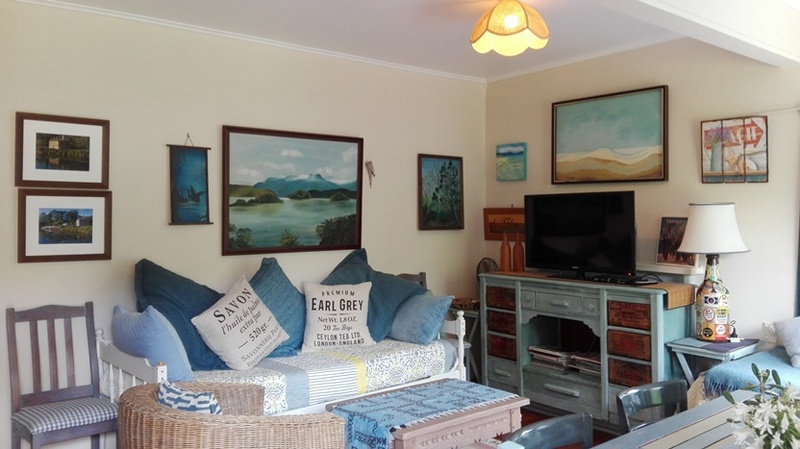 A characterful boatshed at the water's edge has been partially converted into a charming, romantic one bedroom unit, with high ceiling, lots of boating decor, and two private decks. The queen bed has a spectacular and high level view straight down the river through the shell of the old Slipway. 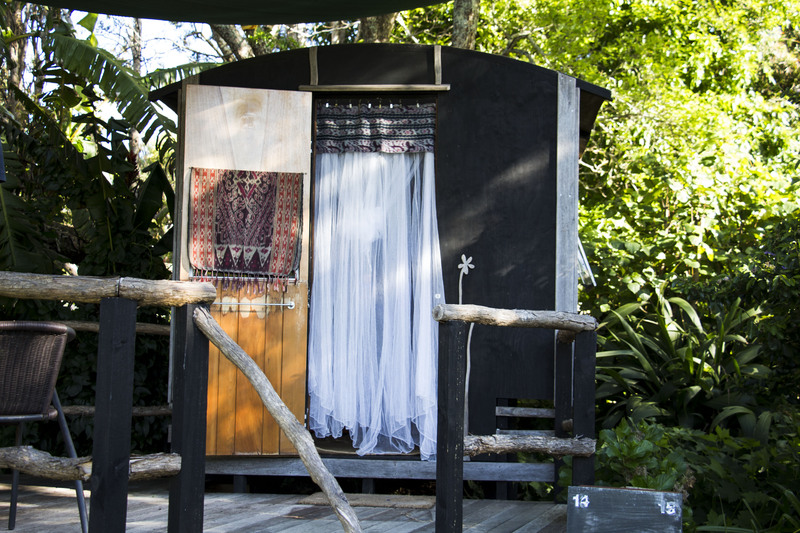 This Glamping unit accommodates up to 4 persons. Glamping in style! 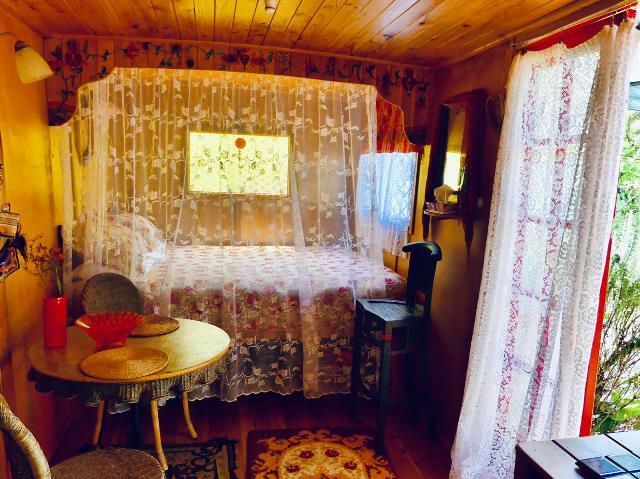 Gypsy Caravans are comfortable, romantic & furnished with a real touch of class. 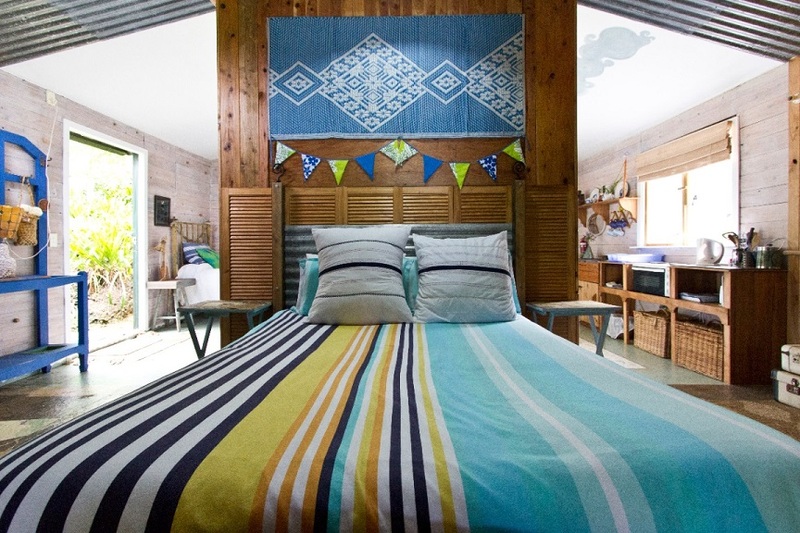 They have spectacular water views & as they are fully insulated & lined with sweet smelling Japanese cedar, they are cool in summer & warm in winter. Raised queen beds with romantic drapery, lead-light or coloured glass windows create a unique ambience. There are basic utilities - kettle, tea & coffee, fridge & outside wash stand with basin. All other amenities are nearby. 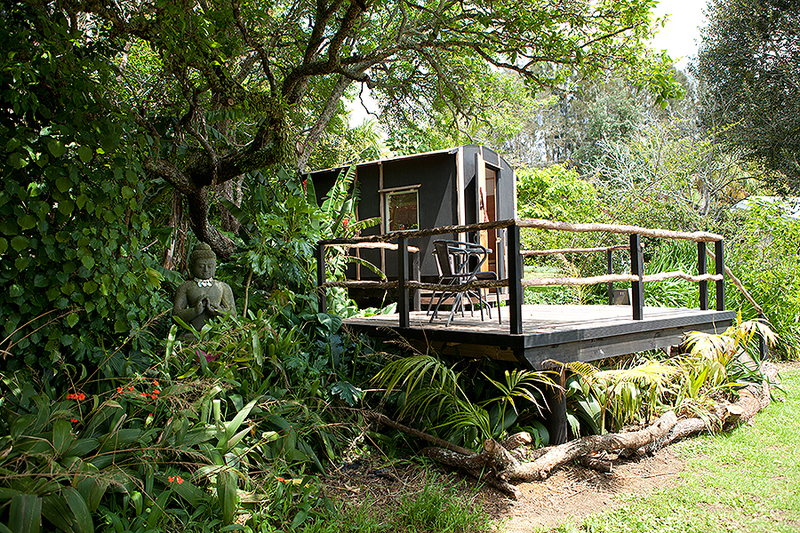 We have Glamping Deck-Mounted Safari Tents for couples. 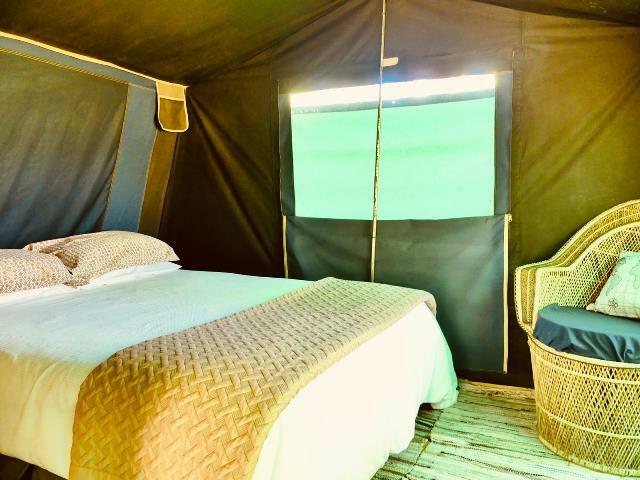 Each tent has 2 fully furnished rooms - bedroom & living room - including a double bed, furniture, fridge, tea and coffee facilities and electric lighting. Bed linen and towels are all provided. 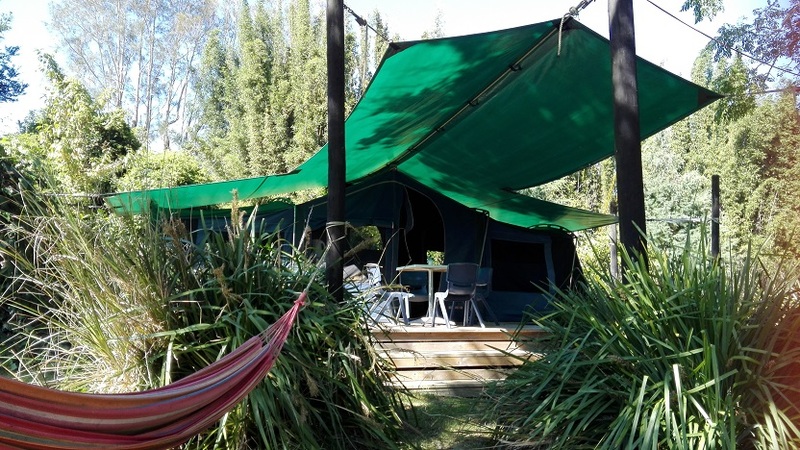 Each tent offers relaxing garden or river views. We also have 3 large, deck-mounted Family Safari Tents. 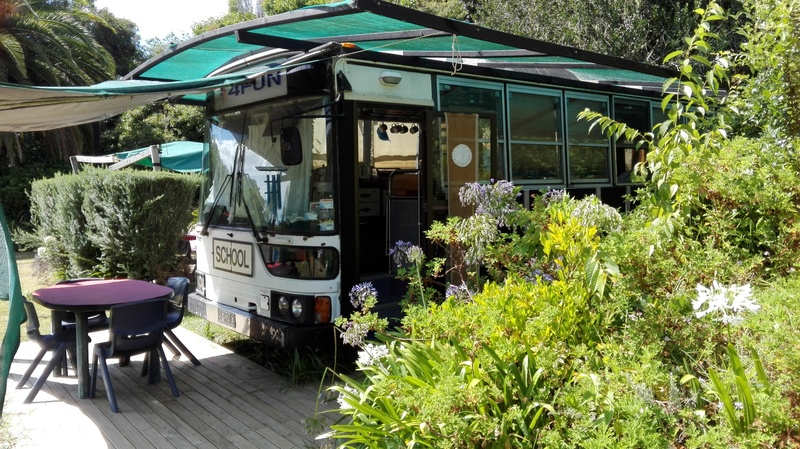 Each tent has 3 fully furnished rooms - 2 bedrooms & living room - including beds, sofa, furniture, fridge and tea/coffee facilities, linen & towels. The nearby amenities block has toilets, hot showers, laundry and kitchen, complete with crockery and cutlery. All you have to bring is a torch! Our moto is tranquility with a touch of nature's magic! Many of our sites are screened by beautiful, mature trees and gardens. There is a large River View Deck with cafe style seating, sheltered gazebo and barbeque facilities. Our Central Facilities Block includes well-equipped kitchen, showers, toilets & coin-operated laundry. We offer a range of powered and non-powered sites. 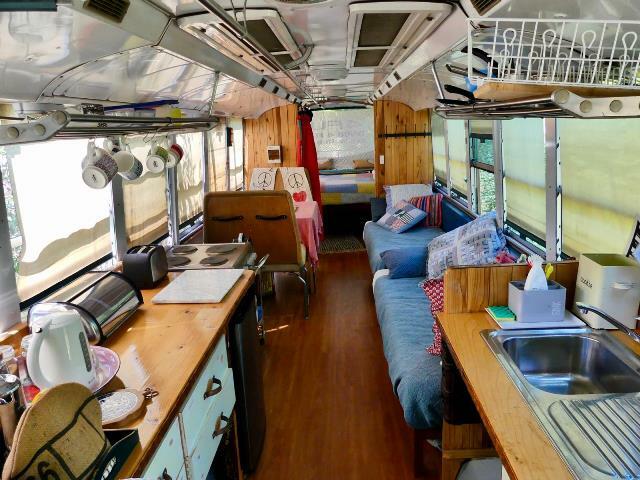 Glamping on a budget! 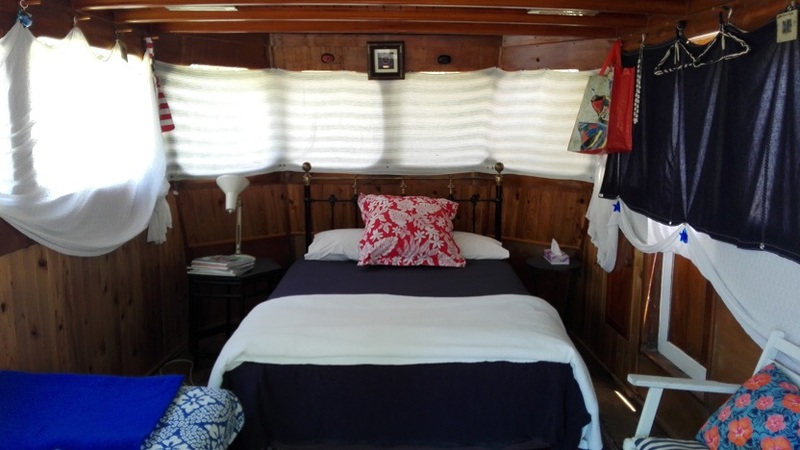 The Wheel House is a renovated Boat Cabin from an historic steam boat finished with sweet smelling Japanese Cedar and French doors. It has a small private deck as well. The view includes subtropical gardens and a large Phoenix palm. There is a double bed, single bed, tea/coffee facilities, fridge and romantic furnishings. All other amenities (showers, toilets and a well-equipped kitchen) are a short walk away. 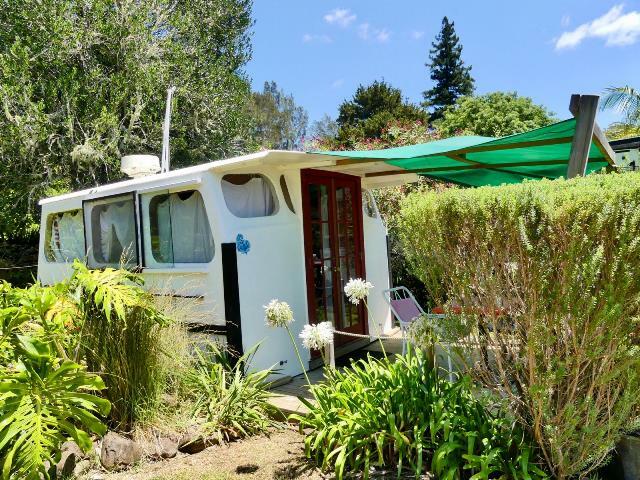 The Silver Ferns Caravan is a large, fully restored, iconic caravan with native wood finishes, double & small single bed, fridge, tea/coffee & kettle. 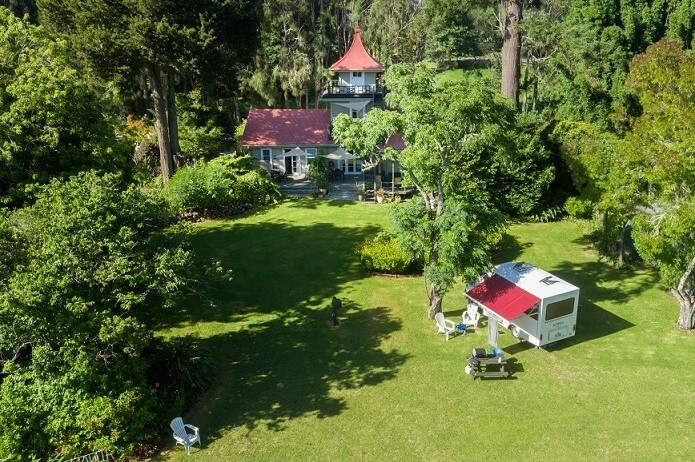 Located under a Lilac Tree on the front of the property, the caravan has prime views of the river, Kerikeri Inlet, the famous Hongi Pa Site and Reserve. All other facilities are nearby. Mounted high on a large, raised deck, The Pear Tree House nestles under branches of a giant Pear Tree near a huge Phoenix Palm in a private, bird-rich area of the tropical gardens. 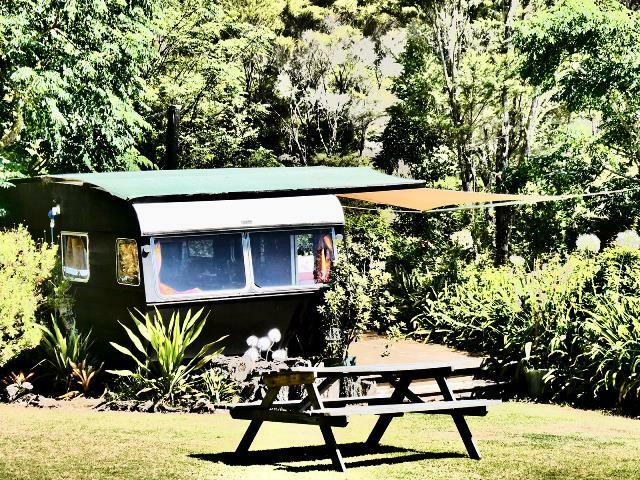 Deck furniture allows you to relax in comfort and enjoy the frolicking Fantails, Tuis, rare Kaka’s & great bird song. Tiny Glamping! All amenities are nearby. 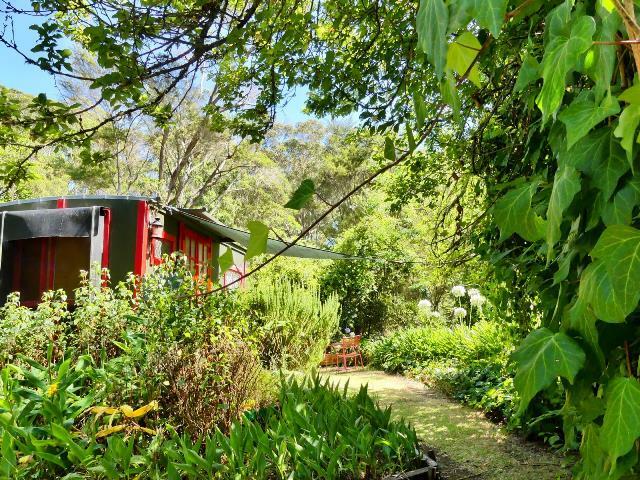 Surrounded by gardens, The Glamping Bus provides memorable accommodation for a family seeking fun and adventure. 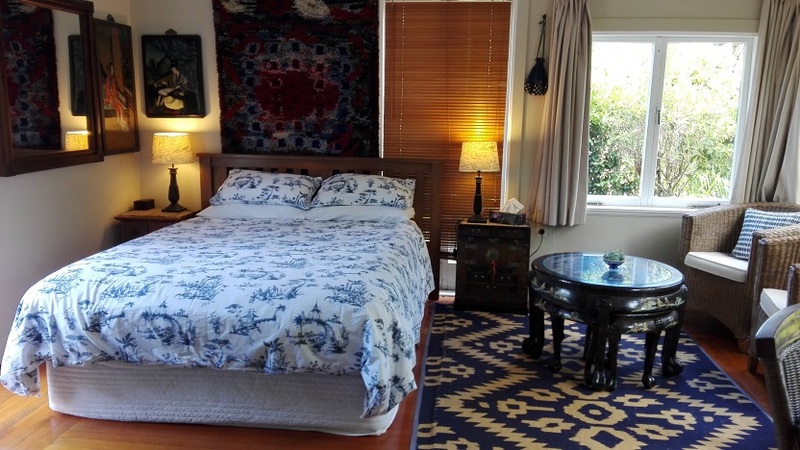 Fully renovated, comfortable and ideal for a family of up to four. 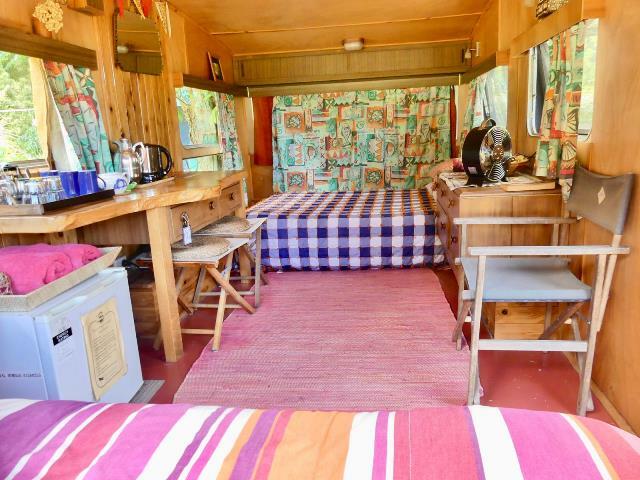 Innovative Glamping at its best, fully furnished and decorated in style, with full kitchen on board, and other central amenities only a short walk away.